I’ve been using StumbleUpon off and on for awhile now. This month I decided to take it up and notch and really get into stumbling. I’m up to 2400+ favourites and 400+ discoveries! Whenever I read a post I like, I always stumble it. Here’s my top 10 discoveries for the month of July! If you like them, just give them a “thumbs up” on your SU toolbar. I also checked my referral traffic from StumbleUpon on Google Analytics to see which posts of mine are doing well. Please note that I didn’t discover these posts myself. I’ve heard that StumbleUpon frowns upon discovering your own posts so I never do it. Thank you to the stumblers who discovered my posts! Link up your July StumbleUpon post at Makobi Scribe! Yowza!! Your Stumble discoveries look GREAT, numbers-wise (and content-wise!). Thank you!! Yay! Thanks so much, your number 6 post (Pirate Scrapbook Pages) was one from my blog. 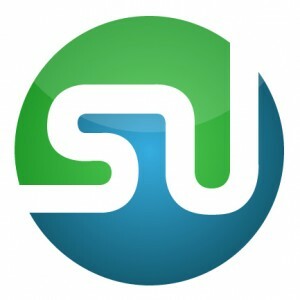 I appreciate the Stumble discovery:-) I’ve really been enjoying discovering new posts on Stumblupon lately too. Thank you…I guess I need to work on that then. How do you get it to show you which pages got the traffic? Hi, Thanks for information, I stumbled, have a nice day.